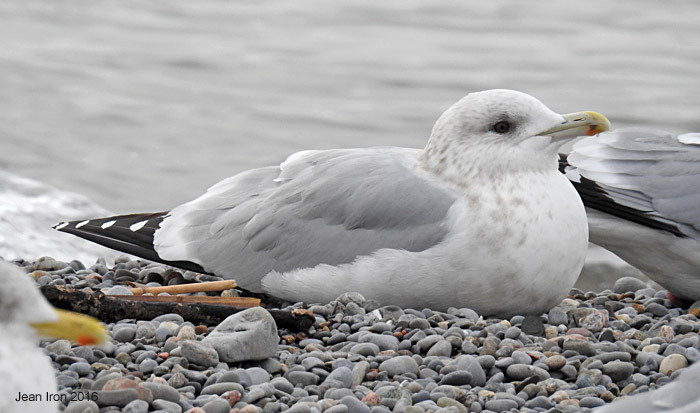 This adult gull has dark eyes, which is atypical of Herring Gull and suggestive of Thayer's Gull. 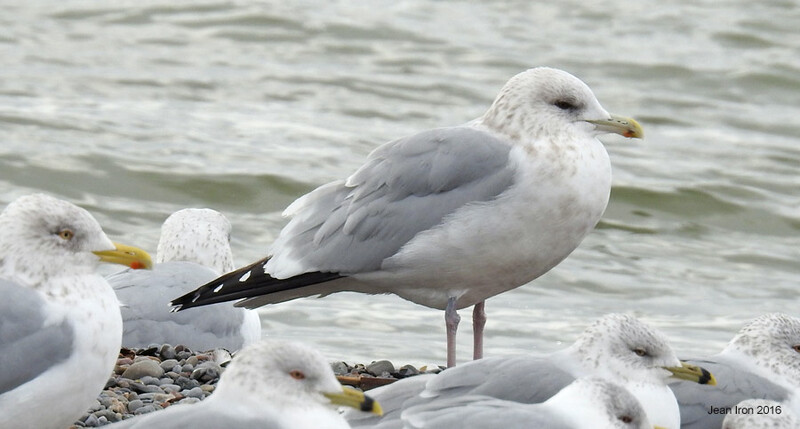 Its bill appears small, but unlike adult Thayer's has a black mark at the gonys. The white primary tips are small on black primaries and the legs are pale pink. I could not see primary tip pattern. Ajax near Toronto on 10 February 2016. Close-up of dark eye. 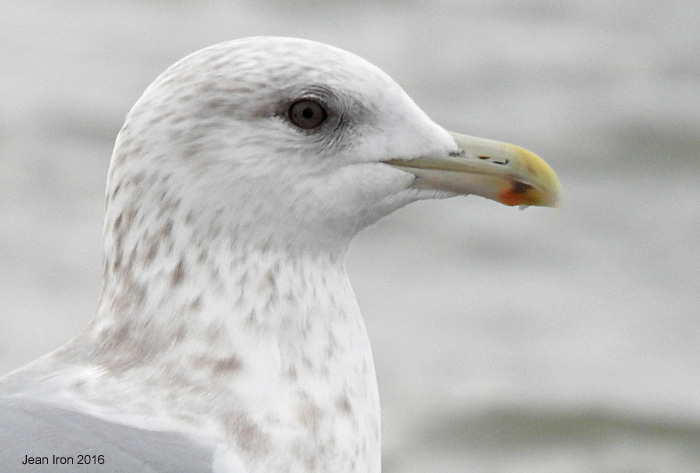 Howell and Dunn (2007) show a photo 25A of a small-billed adult Herring Gull with "dusky speckling", stating that some adults especially in the West have dusky flecking in their eyes (page 159). But is this a Herring Gull? Ajax near Toronto on 10 February 2016. The dark eye is striking, and the shafts of the primaries reflected pale at certain angles. Ajax near Toronto on 10 February 2016.